In the hot days of summer, lightweight, breathable clothing is a must. And among the few warm-weather wardrobe options like shorts, skirts, and crop-tops, is the maxi dress. To be honest, it is the single most comfortable, practical, and stylish piece of clothing we have in our closets. 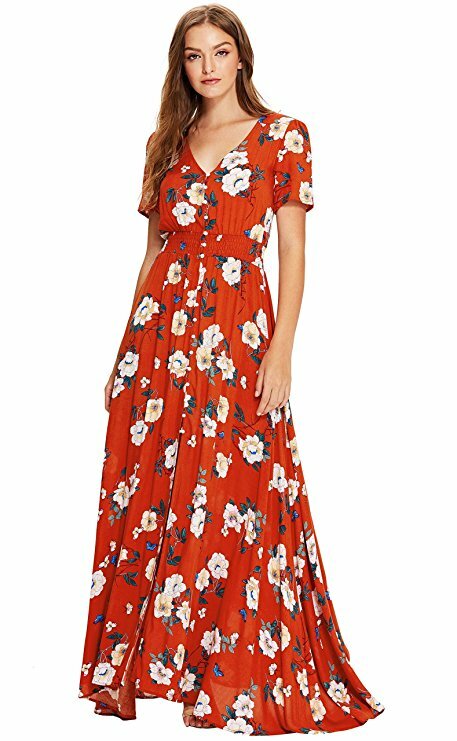 Maxi dresses — especially those in bold prints — are incredibly flattering and visually elongate the legs when worn with a pair of wedges or heels. Bonus: they are so easy to wear and appropriate for a range of formal and informal events. 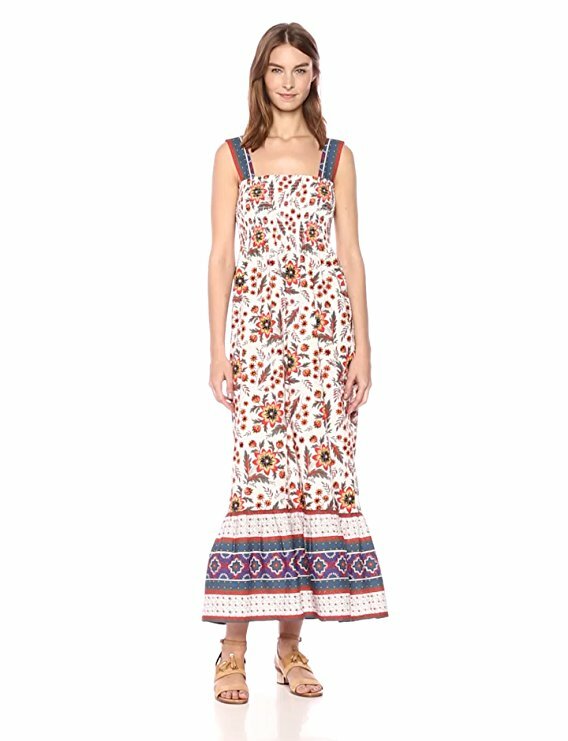 If you’re looking for the perfect travel dress to pair with some amazing shoes, opt for one made from linen, cotton, or rayon since these fabrics will keep your body cool whether you are on the beach or grabbing drinks at the hotel’s rooftop bar. If you need something to wear this wedding season, opt for a simple design in a bright color or print or one with feminine details such as ruffles, an off-the-shoulder neckline, or lace paneling. Time to start shopping! 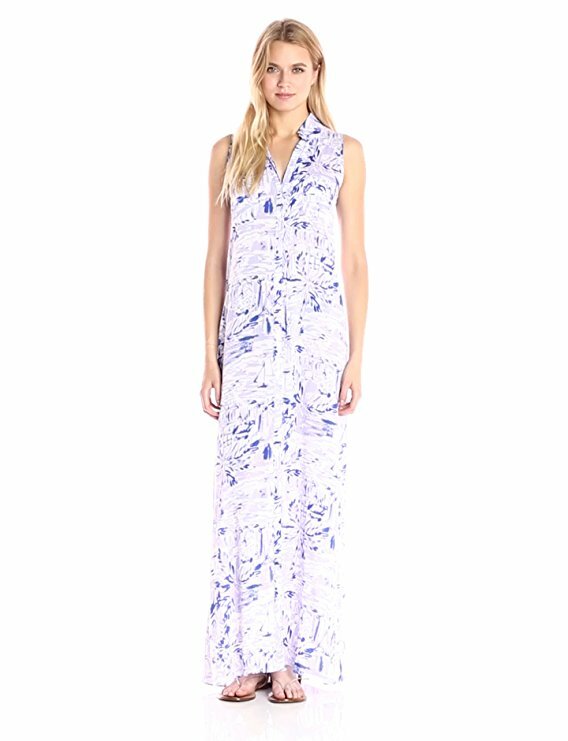 Here are 10 beautiful maxi dresses to complete your summer look! 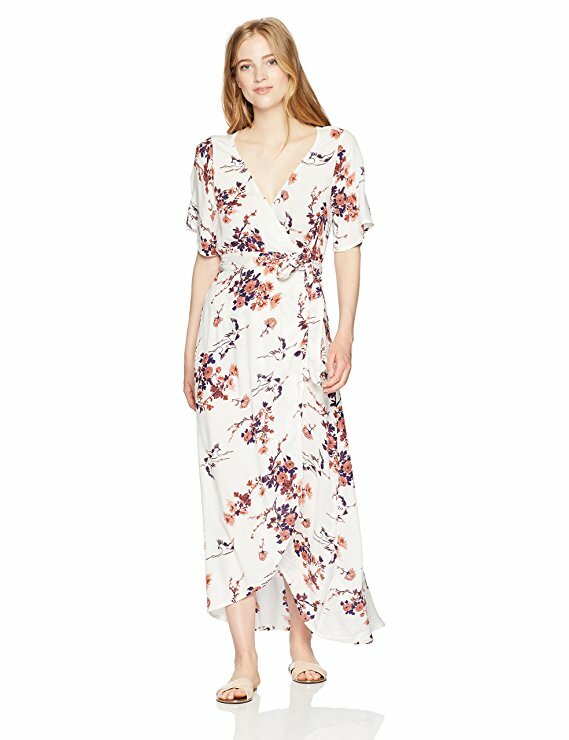 This pretty wrap dress is the epitome of feminine. It has bell sleeves, a tie closure, and a beautiful nature-inspired print. Joie’s peasant-inspired dress features a vintage mixed batik print, wide shoulder straps, and a smocked bodice. Get ready to receive a lot of compliments on this dress. 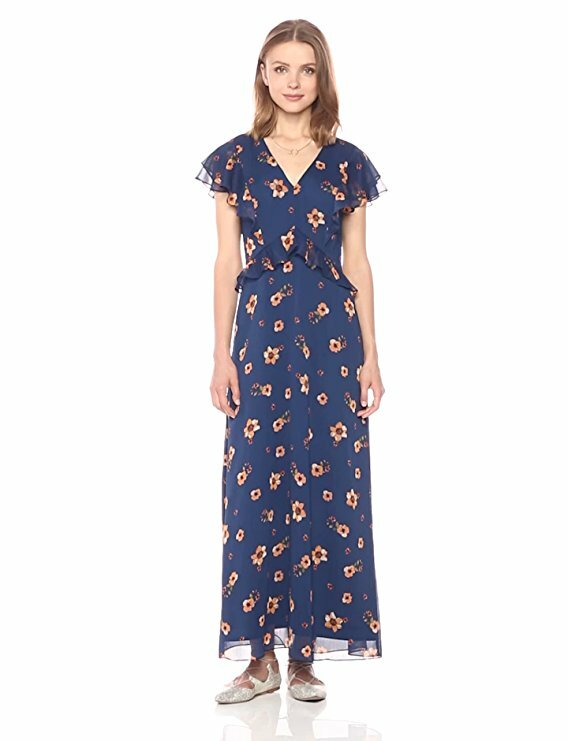 It has a flowy A-line silhouette and a button-up closure with an elastic waist, and it comes in so many fun prints that are perfect for summer. This navy blue floral number features a sheer skirt overlay and ruffle trim at the sleeves and waist. It has a zipper closure at the back. This shirt dress is perfect for a day at the beach or by the pool. 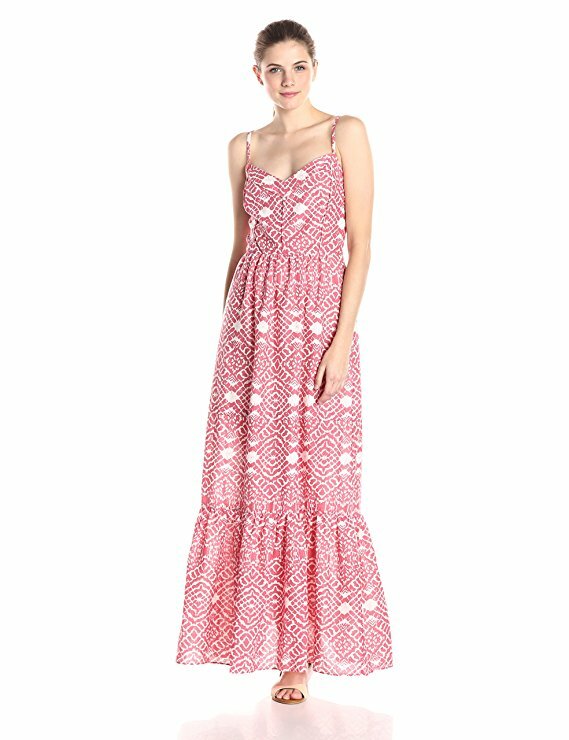 It features one of Lilly Pulitzer’s signature bold prints, a button-up closure, and two side slits that reach above the knee. 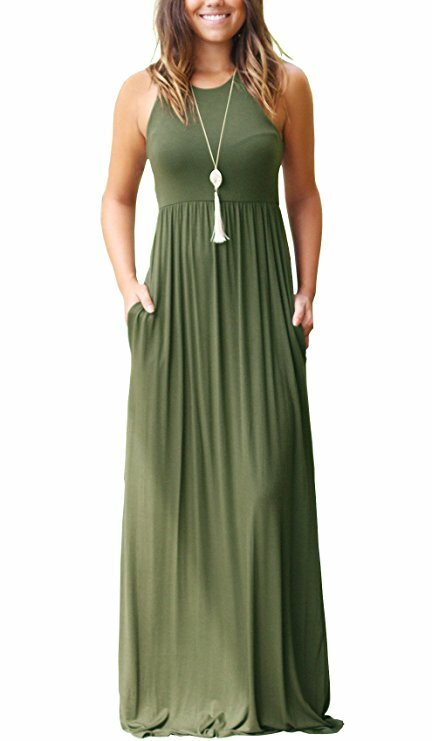 It’s because of dresses like this cotton pick that maxi silhouettes are such a popular choice for summer — it’s comfortable, loose-fitting, and easy to wear. This is the perfect everyday dress — it has adjustable spaghetti straps, a loose-fitting skirt, and is crafted from breathable linen and cotton. 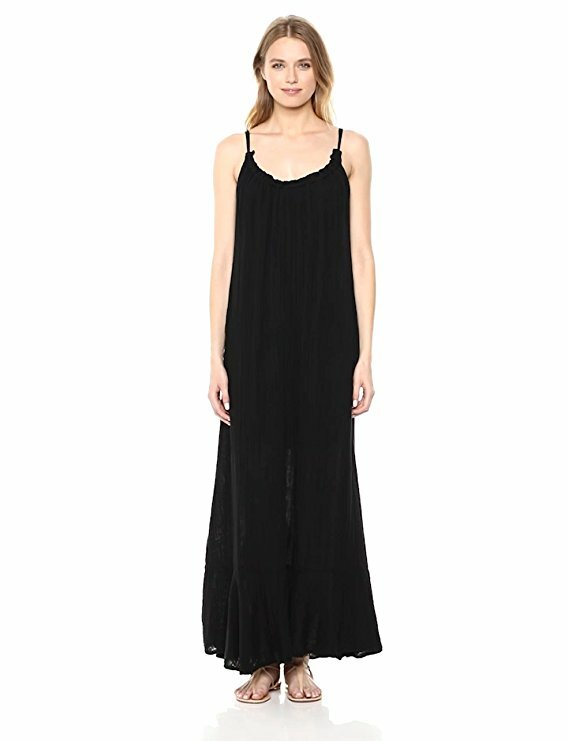 This simple number — the bestselling maxi dress on Amazon at the moment — is crafted from a comfy, stretchy fabric and has pockets. 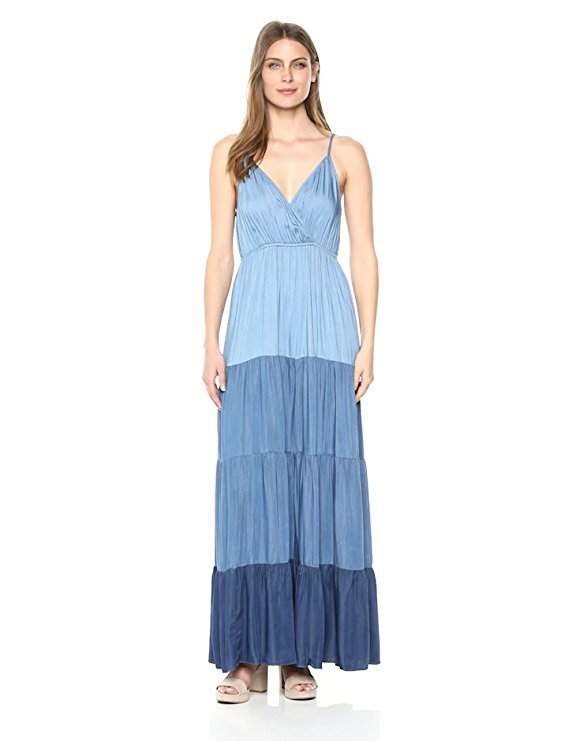 This chambray dress has a classic V-neck, A-line silhouette but looks so modern thanks to the tiered ombré effect. This elegant black-and-white maxi features a ruffled front slit and adjustable spaghetti straps.